Zeiss LSM 710 (Rm B133A). Inverted microscope. Spectral Detector. 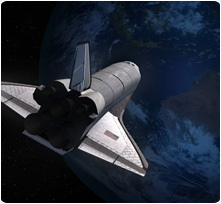 Two non-descanned detectors (NDDs) for highest sensitivity. IncubatorA for live cell imaging. Two photon laser for deeper tissue imaging. Motorized X-Y stage for tiling. Zeiss LSM 880 with Fast Airyscan (Rm B133B). Upright microscope. Spectral Detector. Two non-descanned detectors (NDDs) for highest sensitivity. IncubatorA for live cell imaging. Two photon laser for deeper tissue imaging. Motorized X-Y stage for tiling. CLARITY optics. 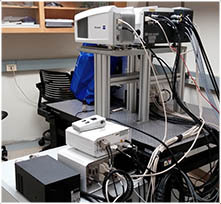 The Airyscan module allows for super-resolution microscopy making the LSM 880 the only instrument in the BIF with this capability. Perkin-Elmer Spinning Disc confocal (Rm B133D). Inverted microscope. High speed. IncubatorA for live cell imaging. Confocal only from 63 to 100 X magnifications. Leica DMI 6000 (Rm B133F). Wide-field fluorescence microscope, not confocal. Inverted microscope. High speed. IncubatorA for live cell imaging. Motorized X-Y stage for tiling. Zeiss LSM 510 META (Rm B133G). Inverted microscope. Spectral Detector. Two NDDs for higher sensitivityB. Two photon laser for deeper tissue imaging. 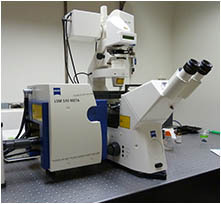 Zeiss LSM 800 W/3 Channel GaAsP Detection (Rm B133H). Inverted microscope. 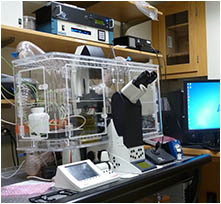 IncubatorA for live cell imaging. Motorized X-Y stage for tiling. The 3 GaAsP detectors and the efficient light path make this one of the most sensitive microscopes in the BIF. 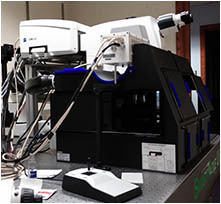 Zeiss LightSheet Z.1 Dual Side Illumination System with Dual PCO Detection Modules - 6 Lasers (Rm B101C). Samples typically mounted in agar inside capillary. High speed. IncubatorA for live imaging. La Vision Biotec Ultramicroscope II Light Sheet Microscope (Rm B111H). Upright macroscope (Olympus MVX10) with special CLARITY modified optics. 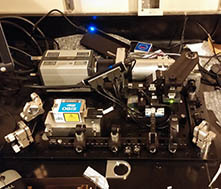 The SuperK EXTREME EXW-12 white light laser (WLL) from NKT Photonics allows for a broad range of excitation wavelengths. 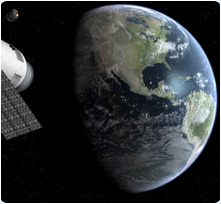 A Incubator controls temperature and/or CO2. 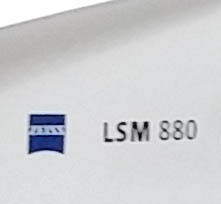 The LSM 800 is also capable of regulating O2 levels. 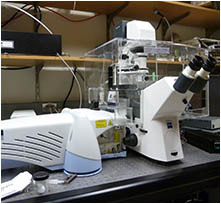 More details on each of these microscopes is provided below on each instrument's individual web page. Below we list 12 microscopes of which 4 are coming soon to the BIF. 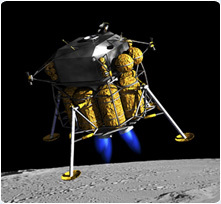 We welcome all user input for how to improve the BIF and suggestions for future instrumentation. Using the microscopes Please go to the Personnel tab above to contact us for training, advice or help with your microscopy. 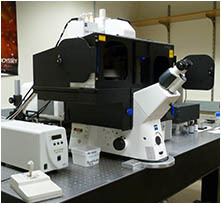 Training on a microscope typically takes from 1 to 2 hours and is provided free of charge for Caltech users. Training involves going over the policies for using the BIF as well as how to operate the microscope and software used to acquire your data. For training we provide the sample. Once you are trained you are free to use the microscopes with as little or as much supervision as you desire. Reservations for using a microscope are made with our Calendar software (see Calendar Link above). 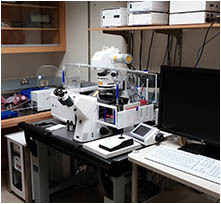 Learn more about microscopy Use of the microscopes in the BIF requires no prior experience in microscopy. 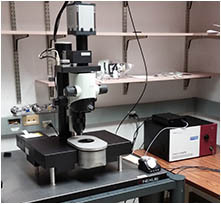 We provide all the necessary training for you to operate the microscope you are interested in using. Obviously the more you know about microscopy the more you can get out of our instruments. The Director of the BIF, Dr. Andres Collazo, offers lecture and laboratory classes on Microscopy (Bi/BE 177 and 227, winter term, class links below) for students, postdocs and staff here at Caltech. The picture at the top is of the light sheet microscope built by the students in Bi 227 (2016) based on the OpenSPIM design. Please send any other websites you feel should be included here to the webmaster, Dr. Andres Collazo. 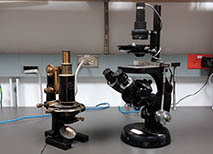 Below we provide some lists of microscopes based on applications. Upright microscope. Laser scanning confocal. Two photon laser. Temperature regulation. In room B133B..
Inverted microscope. Laser scanning confocal. Incubation. In room B133H. Inverted microscope. Laser scanning confocal. Two photon laser. Incubation. In room B133A. Inverted microscope. Laser scanning confocal. Two photon laser. In room B131A. Inverted Microscope. Wide field. Incubation. In room B133F. Light sheet fluorsecence microscope. In room B111H. 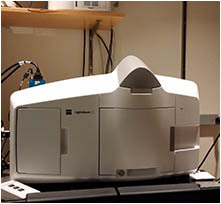 Light sheet fluorsecence microscope. In room B101C. Inverted microscope. Spinning disc confocal. Incubation. In room B133D. Coming soon. Setting up with incubation and camera. Coming soon. Need to purchase camera. Flourescent Dissecting Microscope. With Zeiss Axiocam (color) controlled though Axiovision software.. Documentation for all the microscopes and software is provided below. All files combined into single large Zip file.